For a quick way to understand how federal and Connecticut estate tax works, click here to watch Paul's video "Will my Kids be Taxes on their Inheritance?" The federal government and most states levy a tax on a person’s accumulated net worth at death. Because some states and the federal government provide a partial exemption from these taxes if your net worth is below a certain threshold, most people are exempt from these taxes. In 2011, the threshold for federal estate taxes was set at $5 million, but this amount is adjusted every year for inflation. As of 2016, the threshold has risen to $5.45 million. However, for those individuals with estates which surpass this amount, the federal estate tax hits hard with rates as high as 40%. These taxes can be avoided or reduced with proper estate planning. In Connecticut, the estate tax exemption has been $2 million since 2011. Unlike the federal exemption, the Connecticut exemption is not indexed for inflation. The amount over $2 million is taxed at a rate of between 7.2% and 12%, depending on the size of the estate. This relatively low taxability threshold has caused many Connecticut residents to consider relocating to more "tax friendly" states, such as Florida. 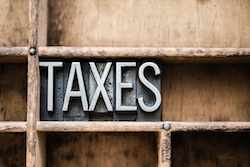 However, in order to establish Florida domicile, and avoid paying Connecticut estate tax, there are a number of steps which need to be taken in order to show an intent to permanently remain in Florida. If this is a concern of yours, we would be happy to discuss this with you as part of your estate plan.